Marketers are like babies crying for attention. 🙂 And when things get tough, they want to run away for want of resources and budgets. If you’re a marketer, I’m sure you can relate to this. Jokes aside, getting results from marketing is becoming a bigger challenge every day. With a cluttered online space, it takes a lot more than sweat and blood to get brand visibility, let alone real customers. And the problem multiplies because of the plethora of marketing channels and the need to be everywhere. But artificial intelligence poses a tremendous opportunity for marketers to find a solution to their ever-growing woes. In fact, 80% of business and tech leaders say that AI already boosts productivity. Don’t know how to start applying AI in the real world? Here are 20 cost-effective AI tools that you can use to save time, scale up marketing efforts, and improve customer experience. Getting the most SEO benefit out of branded content can be a long, drawn out process. 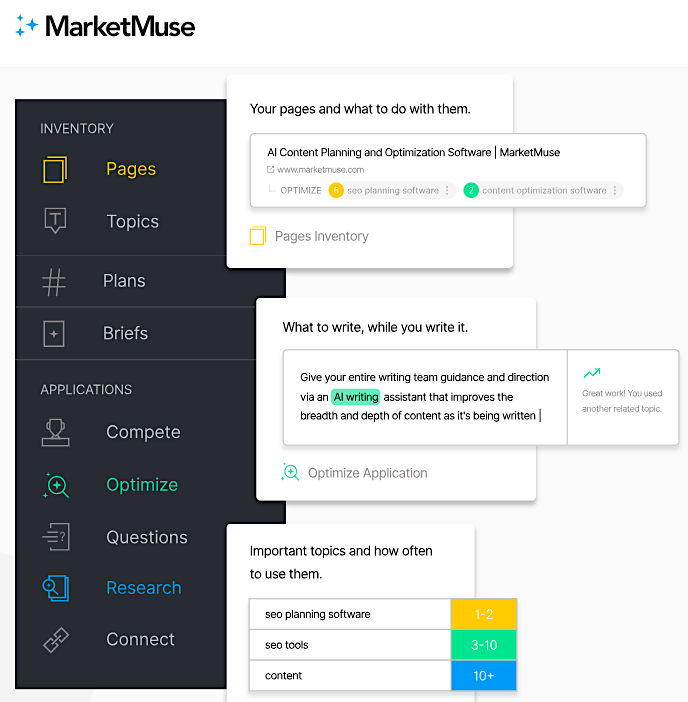 MarketMuse is a helpful resource for competitive analysis, SEO, and content research, and makes the process faster. This unique tool uses artificial intelligence to help make content more relevant to a niche. It lets you know about search terms that you haven’t used on your website, for instance. Marketers can use the free version of this tool to analyze and fill in content gaps. The cloud-based software allows content creators to check the relevance of a page relative to a topic or a niche and provides a report of the keyword consistency along with recommendations for improvement. Lead interaction and qualification, thus, becomes a big challenge. Exceed.ai uses AI technology to take the effort out of lead qualification by helping marketing teams qualify leads and speed up the sales process. It’s a cloud-based software that helps sales and marketing professionals communicate with leads at any time from anywhere. The tool works as a virtual sales assistant helping automate email communication and personalizing chat. It speaks to prospects and understands their product requirements before a human sales representative can take the conversation further. Exceed.ai tries to emulate human conversations to provide a natural experience to potential customers. The software comes with intelligent technologies such as meeting scheduler, user-profiling, and personalized lead nurturing. This smart tool takes the hard work out of creating professional-looking slideshow videos. The software uses AI technology to summarize a blog post and then convert it into a video. 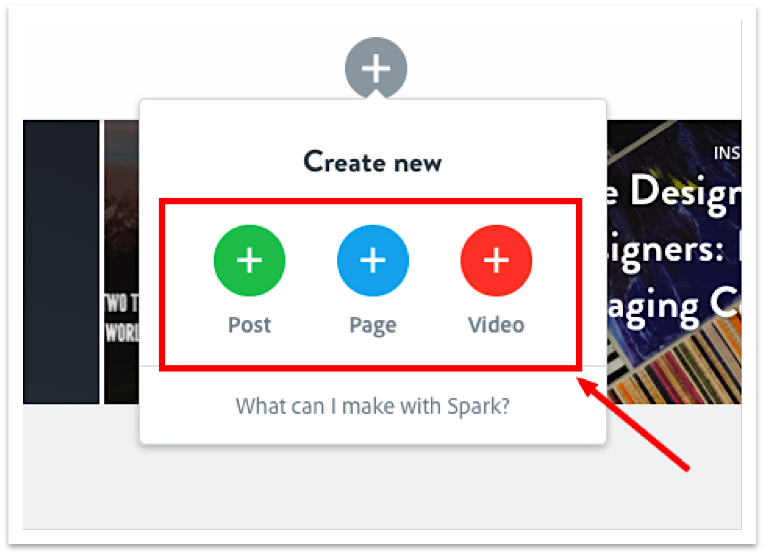 Pop the link of a blog article into this video creator and it will give you a slideshow that you can edit and then create the final video. The tool allows content creators to add a brand logo, images, and music of their choice. The paid version of this AI-based video creation software costs $49 per month. 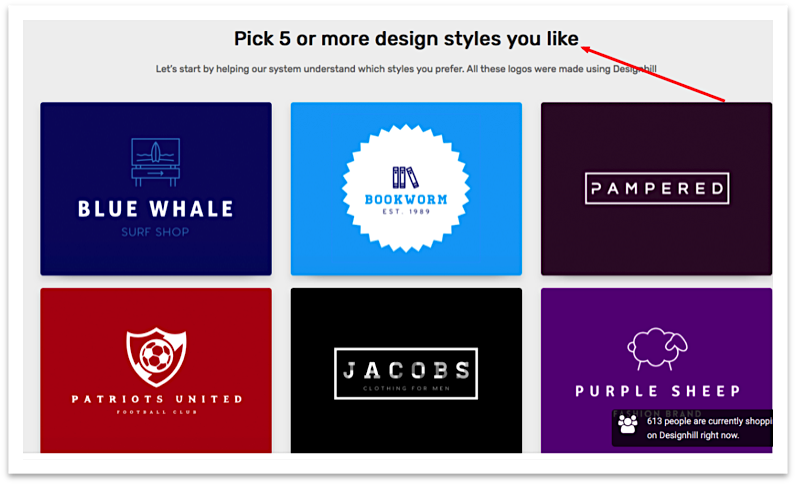 This logo creator uses artificial intelligence and machine learning to produce a number of logo designs at the click of a button. All you have to do is answer a few quick questions and choose from a variety of logo design options for your business. 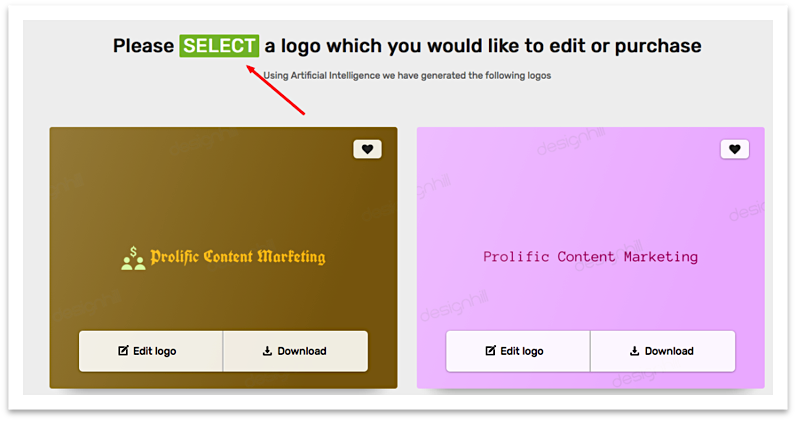 The AI-powered tool does away with the need to hire a design agency and go through lengthy processes of creating a business logo. The logo maker costs around $20 for basic files and $65 for a premium package. The premium version offers dozens of file formats to use the logo anywhere you want. As marketers, we know the struggle of browsing through many vector and stock illustration sites to find the perfect drawing for the next collateral. 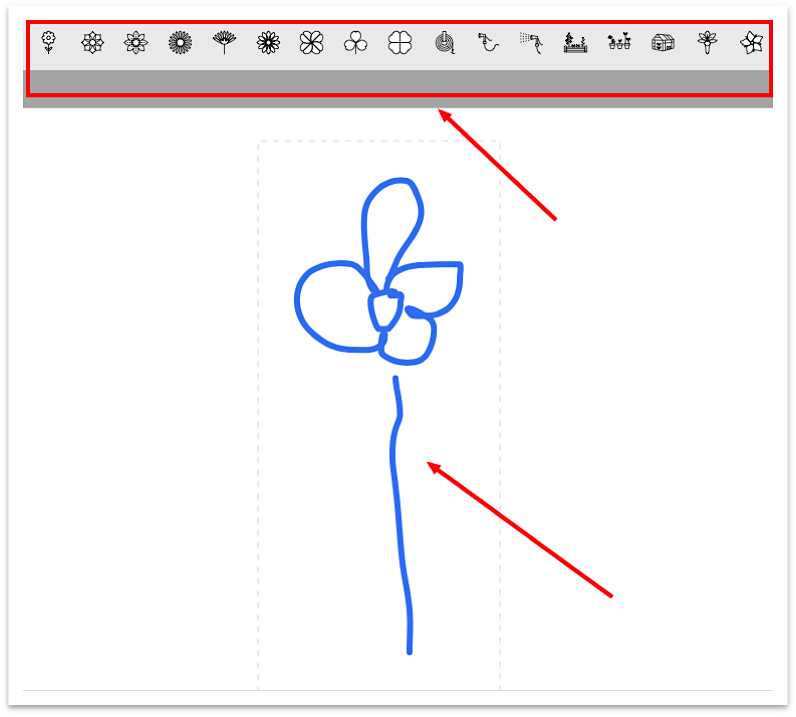 Google’s AutoDraw makes drawing as easy as pie. Just open this AI-based tool and start doodling! It gives picture suggestions based on the drawing, providing the perfect version of a cake or a flower or a bed. 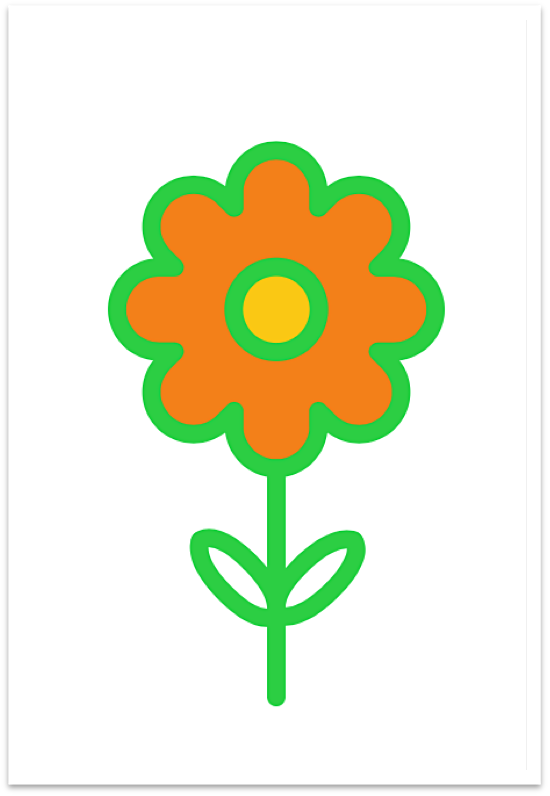 In this example, I drew a very child-like flower (top image), which prompted the menu of choices at the top to appear, and then I selected one (bottom image). The customer is at the heart of any marketing effort. If a marketer knows the audience’s pain points, then half her job is complete. 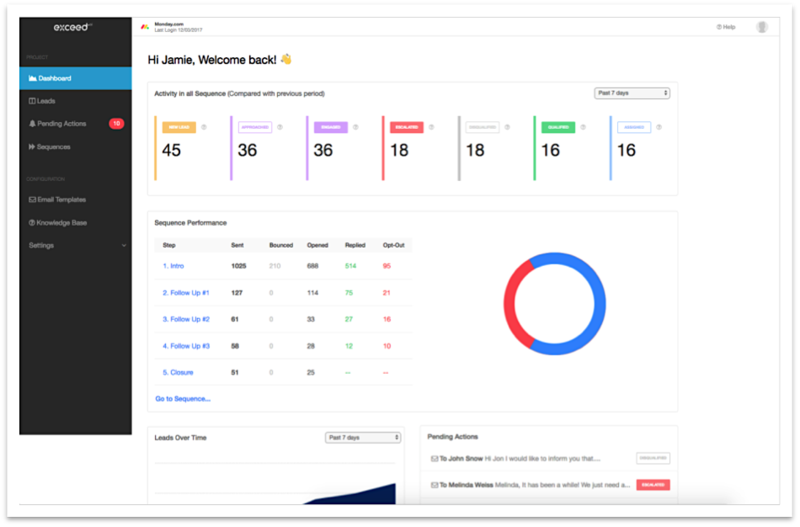 Chorus is an AI platform that helps marketers gather customer data by recording and analyzing sales calls. The software takes call notes and puts them into the organization’s CRM tool. Chorus helps create an information backlog that’s replete with customer insights and preferences. The AI technology ensures that marketers can save time on interviewing sales teams as it provides insights into why a deal did or did not close. Using this conversation tracking software, sales teams can focus on selling instead of making reports on each customer interaction. Social media listening is a popular way for marketers to learn about their audience, brand conversations, and competition. 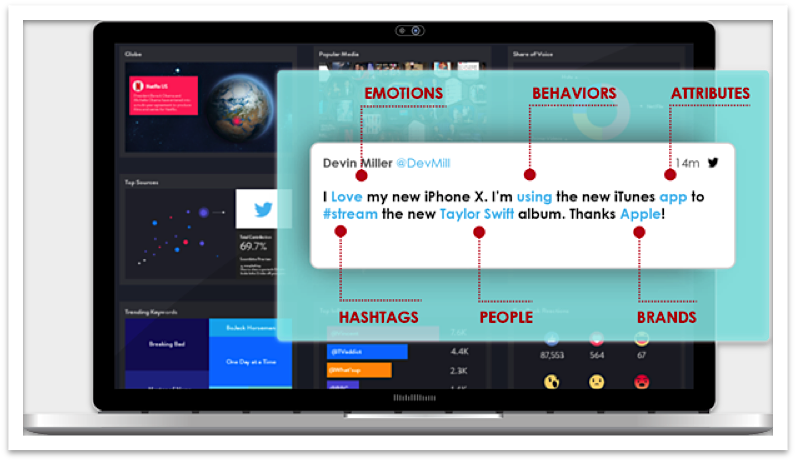 NetBase takes social listening to a new level by infusing machine learning and deep learning into the process. The software provides real-time and quick insights about audience reactions and sentiments on company news and updates. It enables professionals to analyze millions of social media conversations in no time at all, helping them to focus on strategy. NetBase assists social media marketers with many insights such as audience behavior, sentiment, and drivers. The software delves into gender, influencer, location-specific analysis, and language analysis to provide deeper and micro-level insights. A Salesforce study found that 76% of consumers expect companies to understand their needs and expectations. The Internet- and mobile-savvy audience of today has a wider choice of products, services and content, so personalization has become an inevitable source of competitive advantage. 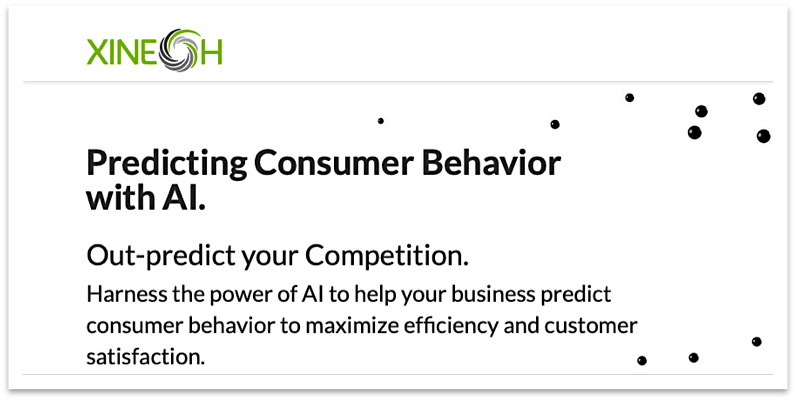 Predicting customer behavior is another area where AI is helping marketers looking to provide better customer experiences. Xinoah provides many AI-driven solutions such as product and media recommenders, pricing solutions and demand predictors. These tools help in mass-analyzing data-sets which allows marketers to save time and improve customer experience. These solutions are helpful to a variety of business verticals such as e-commerce, retail, finance and media. Most marketers find it hard to cope with personalizing and promoting content at scale. Personalizing content down to the individual level, given the number of online channels, never sounds realistic. But thanks to AI, it’s possible. OneSpot uses machine learning to simplify the process. It understands user behavior and context to deliver relevant content. The software divides branded content into topics and sub-topics to identify individual content preferences before putting it up on the right channel. Website Individualization – OneSpot helps businesses provide personalized content to website visitors on the web and on mobile devices. The tool automates content experiences and user journeys based on behavioral preferences of site visitors. The platform helps marketers track qualitative site metrics such as content quality and user engagement. Email Individualization – The email marketing tool helps deliver personalized content from a website to every subscriber. The software automates and optimizes email marketing, working to make it more productive and result-driven. Many marketers can relate to the challenge of failing to send a targeted number of emails. The solution solves the problem by making email marketing more efficient. One area where marketers most often lag behind is scale. In a competitive landscape, if you’re not visible, you don’t exist. 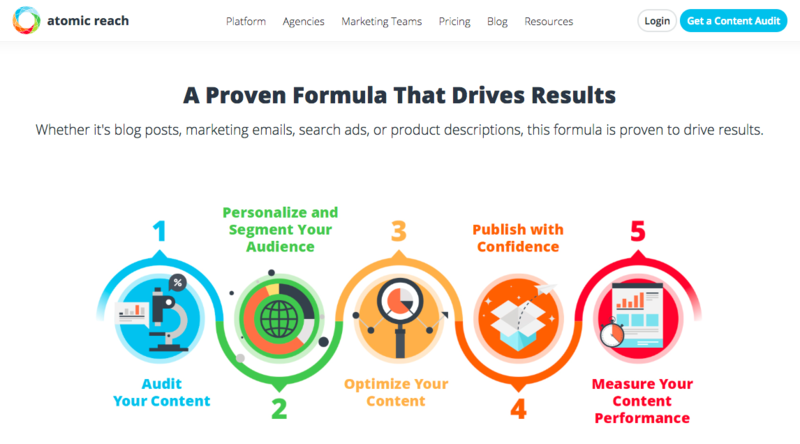 Curata is a tool that helps content marketers discover and share high-performing content. A marketer’s quest to help her audience is a never-ending game, and the more you do it, the better. 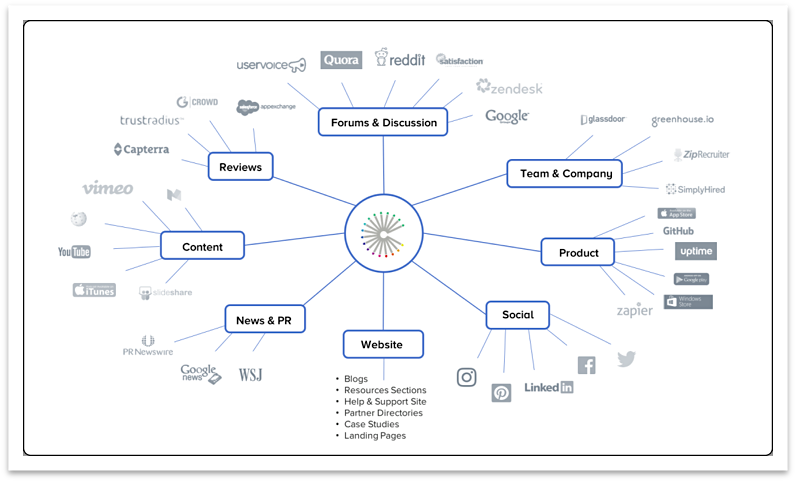 This tool uses artificial intelligence to help content marketers search for the most useful and relevant content in their niche. The software helps its users promote the content across online channels and allows marketing professionals to edit curated content and give their brand a voice before promoting it. Wouldn’t it be great if you had a magic wand that would let you know about all potential customers? Don’t worry if you don’t have one; you can try Node! This artificial intelligence tool helps marketers discover new leads and guides them through the conversion process. The tool uses its database to find connections between entities on the web, such as products, companies and people. It then uses its algorithm to find people who are most likely to buy a product or interact with a specific company. This solution assists sales and marketing teams with deep insights about prospective customers. Writing great copy for newsletters can be fun, but not when you’re struggling to find new ideas. Don’t worry, you now have an assistant to help you write better! Atomic Reach helps audit branded content across channels such as blogs, email and paid ads. 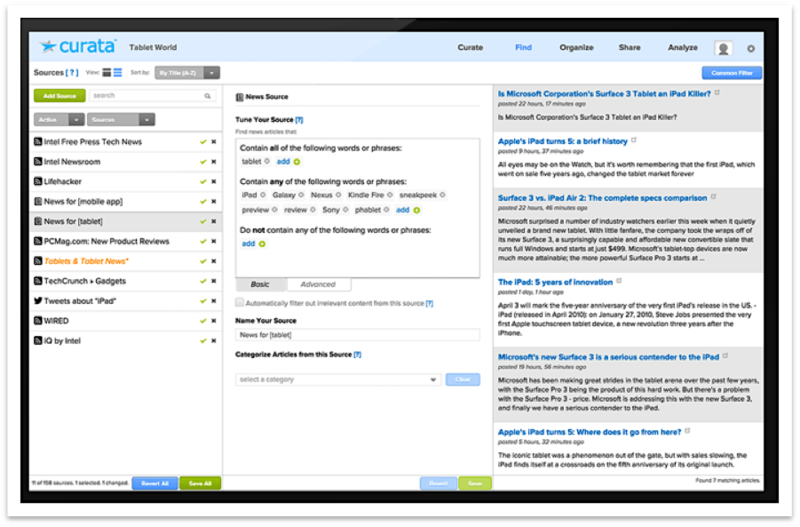 The tool provides content intelligence to help improve quality and relevance in addition to helping reduce editing time. This platform also provides writing assistance by suggesting relevant words and phrases. Ever scratched your head to find the right words for an ad? This tool does the brainwork for time-starved marketers to create ROI driven-content, at your desired pace. Still struggling with paid marketing ROI? This AI-based tool makes paid marketing on Facebook and Instagram a breeze. The cloud-based automation tool cuts down the manual effort in running and editing paid campaigns and guides marketers to test and improve campaigns. Smartly.io also has creative solutions to create ads in different formats. You might want to experiment with this all-in-one paid marketing solution and cut down on the manual effort. This is another unique design software for non-designers. The tool has an intuitive interface that helps marketers design a number of collaterals. 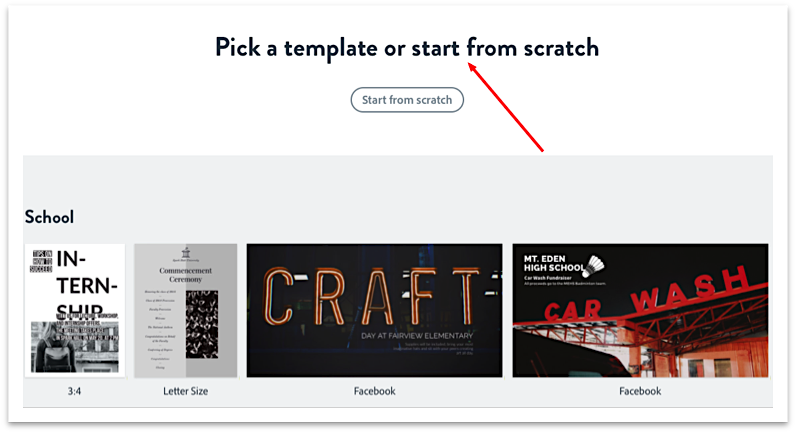 Adobe Spark is a free AI-based designing tool that lets you play around with colors, fonts and templates to create some cool social graphics, videos and web pages. You can remove the Adobe Spark branding on the free version by paying around $10 per month. This one’s an interesting experiment by Adobe and is quite helpful to create impressive designs in no time at all. Email automation remains an integral part of the lead nurturing process. Top it off with AI and you’re bound to spur excitement and take team performance to the next level! Automizy uses artificial intelligence to help marketers analyze and optimize email subject lines. The software is a full-fledged email marketing and automation tool with AI capabilities. This email tool provides deep analytics and A/B testing features to help email pros squeeze the most out of their campaigns. The AI tool comes with a free trial while its starter plan costs $9 per month. Do SEO tasks prevent you from focusing on creating quality content? This WordPress plugin uses natural language processing (NLP) to automate structured data markup. The software helps marketers make their content machine-friendly by doing away with those manual tasks that are required to make a piece of content search-friendly. This AI SEO tool helps automate internal linking and makes content easier to find by users and search engines. The tool also provides media recommendations to make your content relevant and useful. WordLift comes with a 14-day free trial and its starter plan costs $15.99 per month. Tracking online competition is a time-consuming task. It takes a lot of manual effort to track competitor content on a large number of social media platforms. 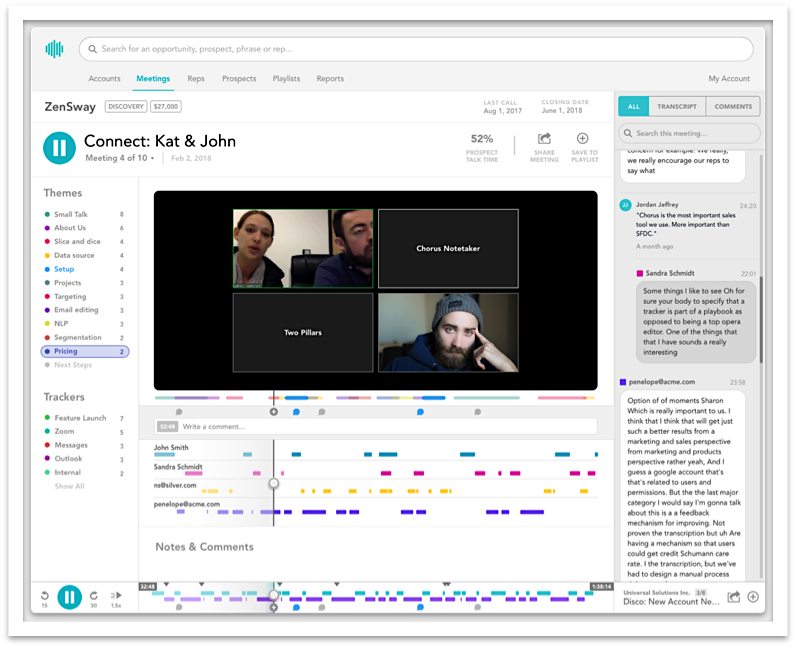 Crayon uses artificial intelligence to take the effort out of analyzing competition across many online channels. The tool puts competition data in a single dashboard, assisting marketers to make quick strategic decisions. 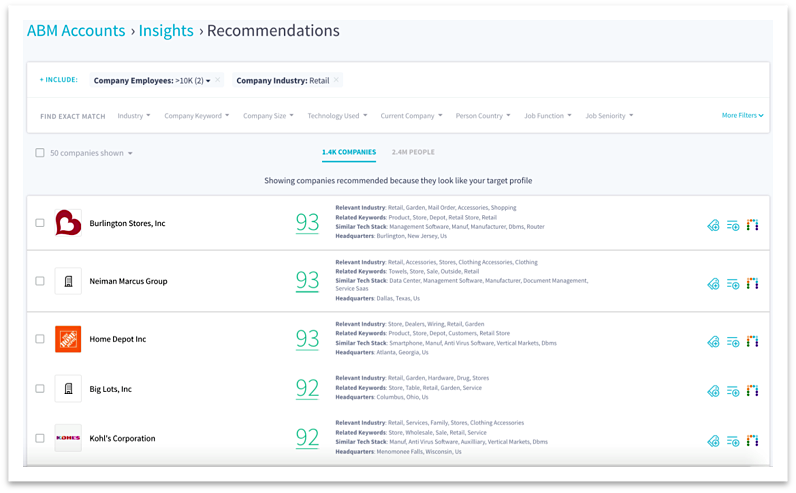 It features daily email digests to keep marketers aware of the latest industry updates and moves related info to product pricing, new launches, reviews, etc. Seamless.ai helps marketers build up their contact list. This sales intelligence tool helps stack up email addresses, phone numbers, contacts and biographies and then create and maintain a list of prospects minus the manual effort. The AI tool also helps with data validation and pitch research, helping to close more deals. You can use the basic version of this tool for free while the unlimited version costs $97 per month. Writing high-quality articles using a bot? It does sound a bit absurd, right? But it’s true, thanks to AI. 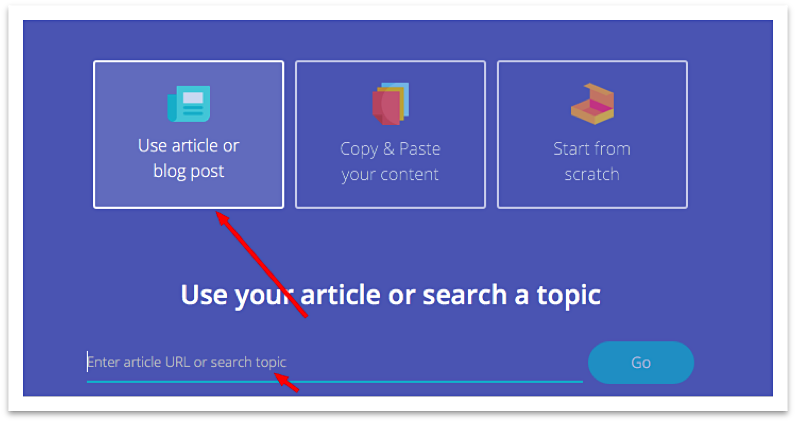 This tool helps content marketers create unique content and adds videos, images and titles to articles, blogs, web pages, etc. What’s fascinating is that this content writing software uses its own words to create original content (in seven languages), thanks to incredibly sophisticated deep understanding algorithms. Article Forge reads millions of articles so it can research any topic, “exactly like a human does”. The AI tool integrates with WordPress, featuring automated SEO and post-scheduling options. The software comes with a free trial while it costs $24.75 per month when billed annually. Good customer service is at the heart of business success. Aivo is a suite of automated customer service solutions. 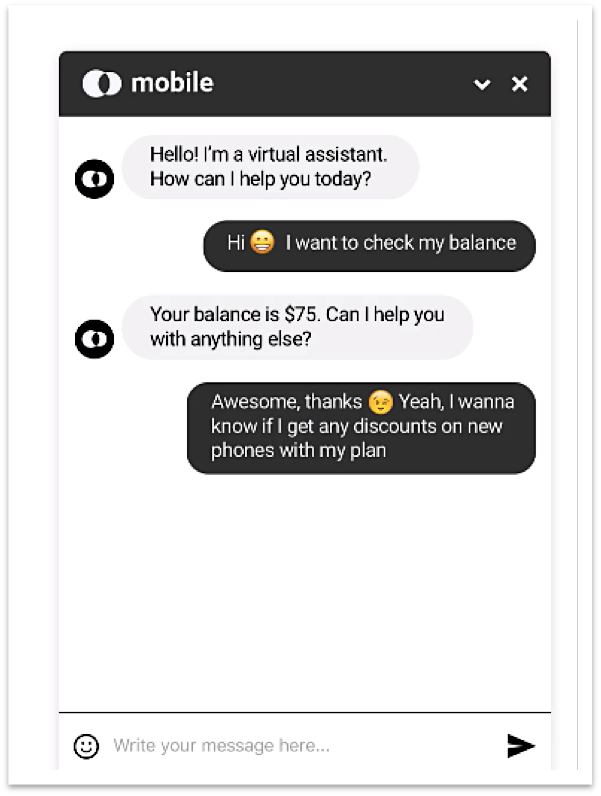 This AI customer service tool provides chat-based and voice-based solutions that interact with customers, helping them with their queries. Aivo helps businesses provide prompt customer service, which allows marketers to save time and resources. Artificial intelligence cannot emulate human creativity or intellect. Yet, it is capable of taking away the task-heavy load so that marketers can focus on strategic planning and creativity. 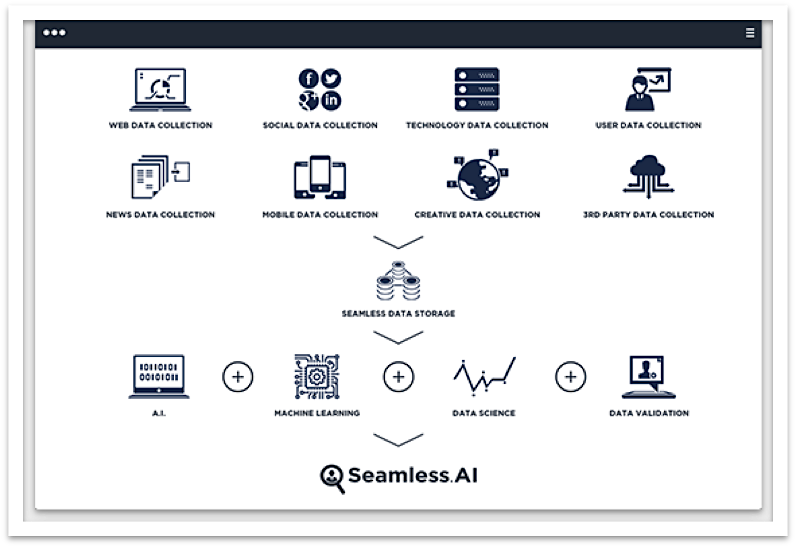 AI tools are useful in analyzing mass data sets to dig into insights about potential and existing customers. The technology helps personalize campaigns and content, taking the user experience to a whole new level. It automates many tasks from content research to competitive intelligence to SEO to paid campaigns. Yes, AI is the disruptive technology that’s here to change the game for marketers looking to make an impact and stay miles ahead of their game!